You’ve seen one multitool, you’ve seen them all. That used to be the case before the Headgehog came along. It injects a dose of cuteness into a saturated market by cramming a multitude of tools into a compact yet awesomely adorable package. As you can probably already guess from its name, the multitool comes in the form of a hedgehog. Use the Headgehog’s spikes to comb your locks into place, and use the other tools as you please: a bottle opener, four wrenches, a Phillips screwdriver, and a chip clip. It can also function as a money clip or phone stand. The Headgehog is currently up for funding on Kickstarter, where you make a pledge of at least $12 to get one of your very own. 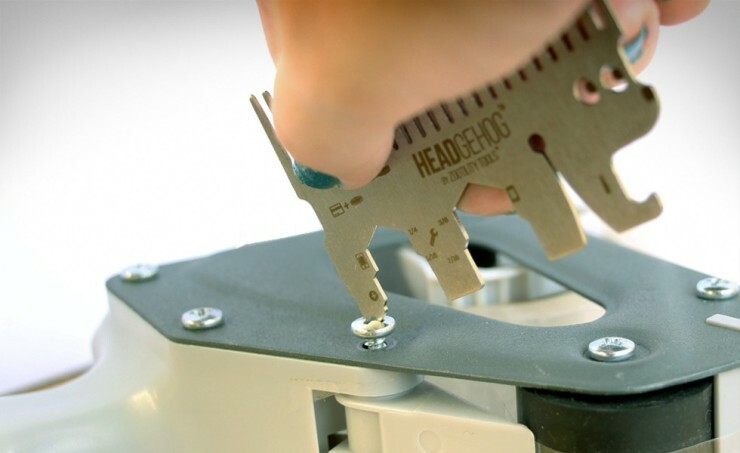 The post Headgehog is a Multi-Tool That’s Cute and Functional appeared first on OhGizmo!.